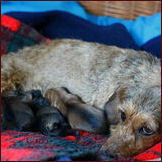 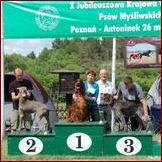 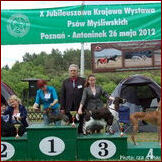 On 30-06-2012 Pusia (Panienka z Okienka Brzdąc) has whelped 4 puppies. 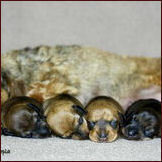 We have 3 girls and 1 boy. 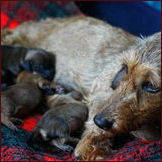 Mum and pups are feeling good. 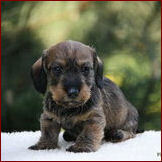 Proud father is our Rodrigo (Alpheratz Donrodrigo). 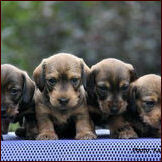 Rodrigo kids in Arlet's kennel - new photos at age of 8 weeks. 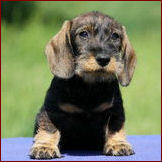 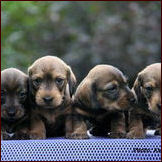 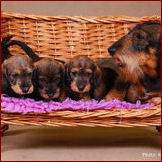 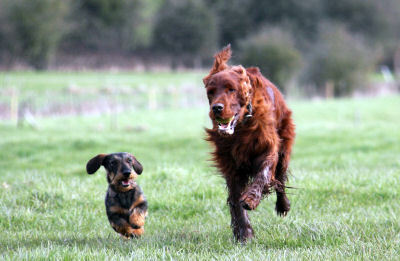 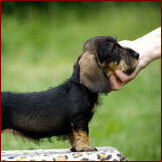 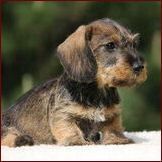 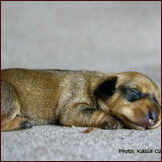 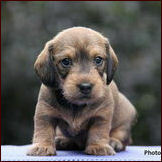 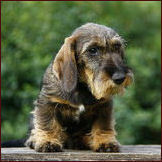 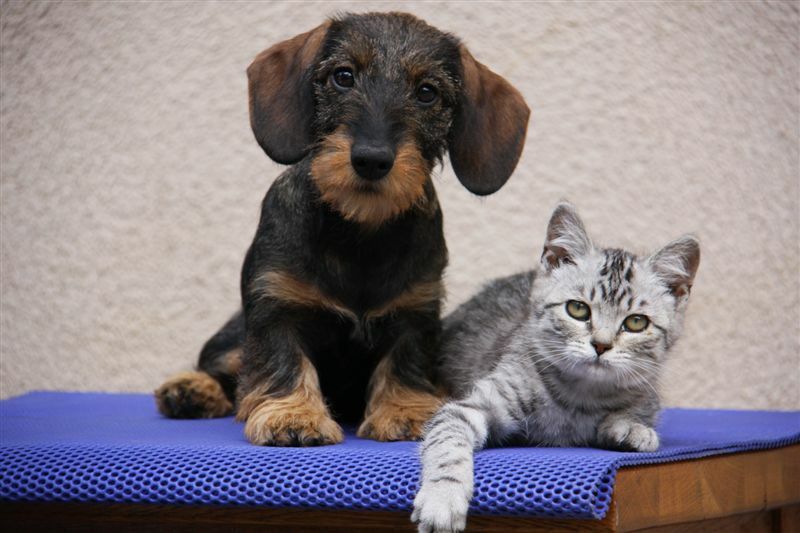 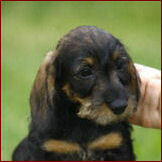 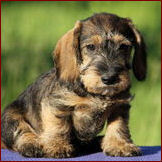 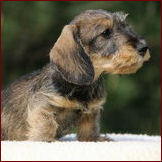 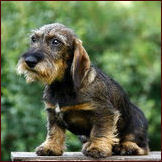 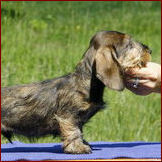 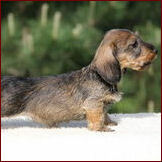 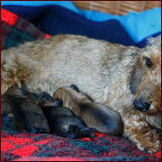 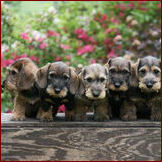 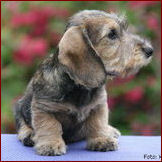 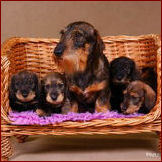 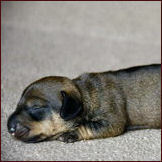 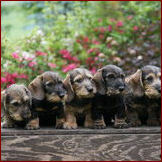 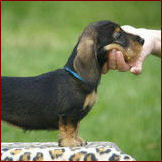 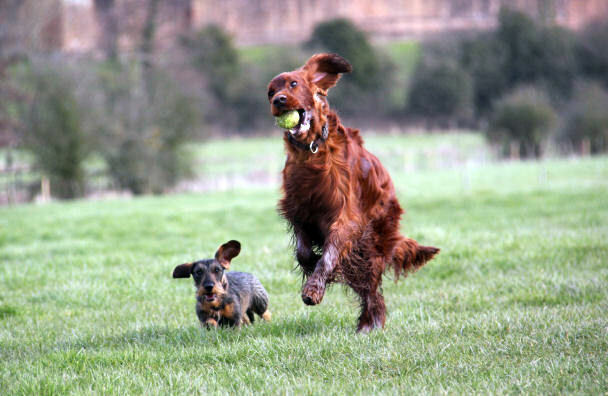 New photos of our dachshunds puppies from Rodrigo and Pita's litter. 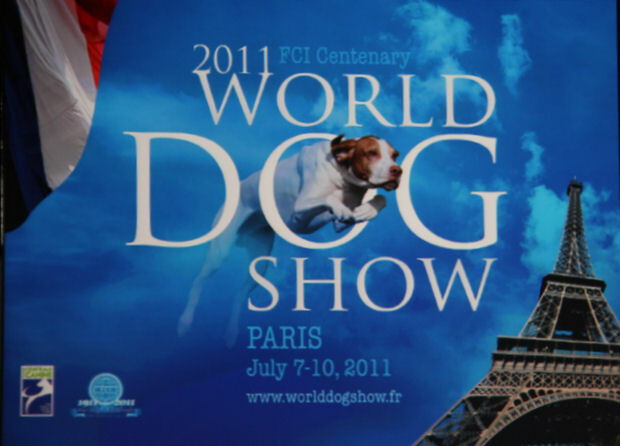 Alpheratz DON RODRIGO won CC - Dog Challenge Certificate!!!!!! 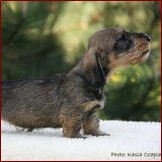 New member of our "doggy" family. 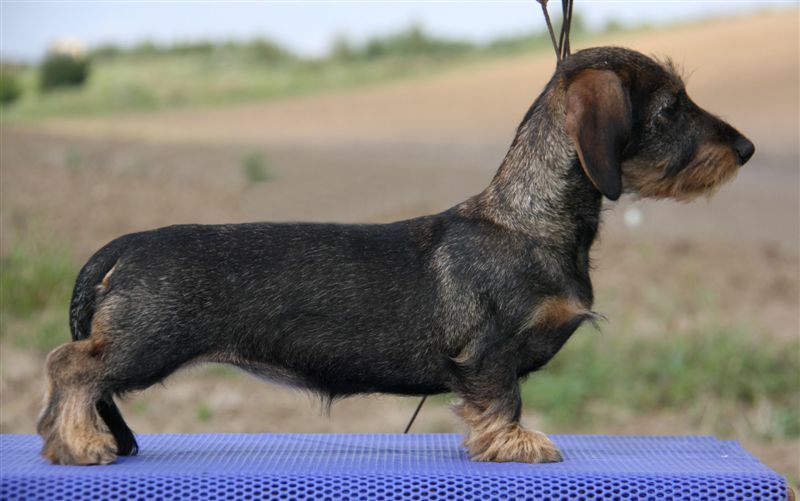 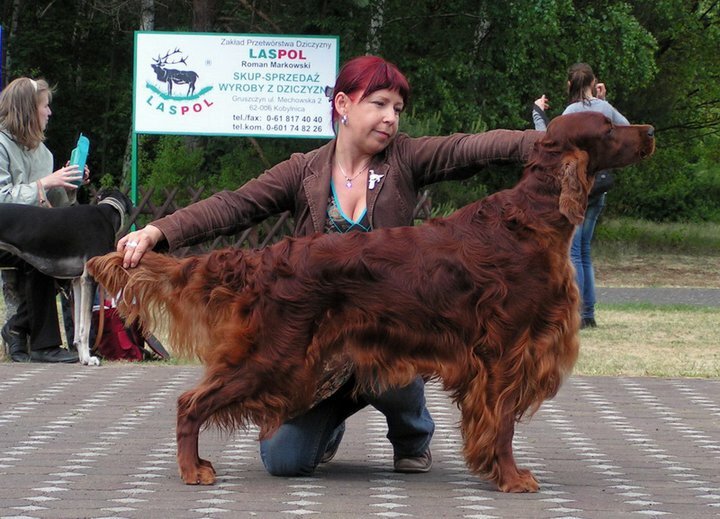 Sebasso's Nebida (Alpheratz Flamenca x Pikeur Vom Fladder). 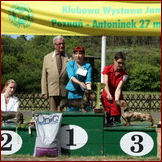 Pusia's daughter from her first litter - Rozowa Pantera Brzdac - Best of Breed in rabbit size wires. 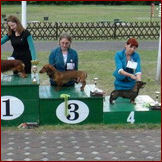 Together with Aylien we went to 3 shows with Banthi and Chili. 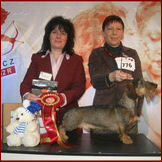 Alpheratz Donrodrigo - BOB, BOG and IV Best in Show! 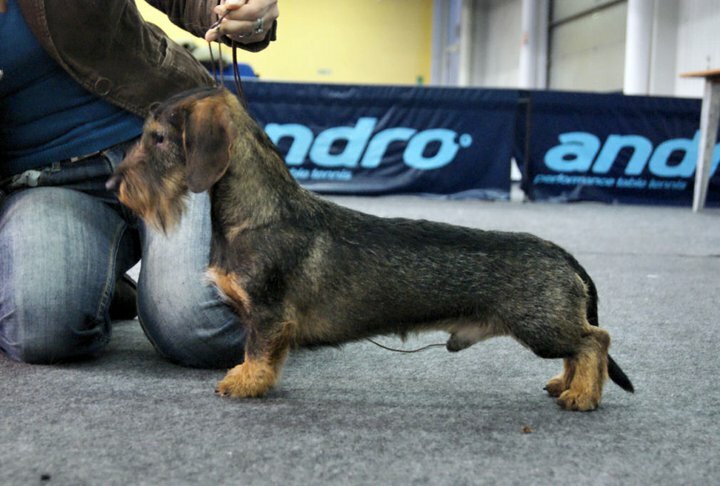 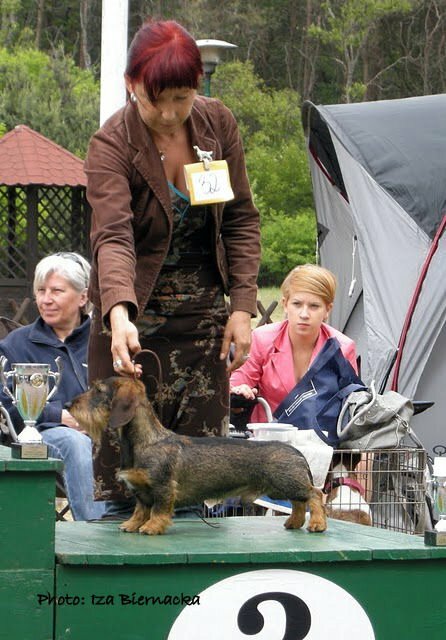 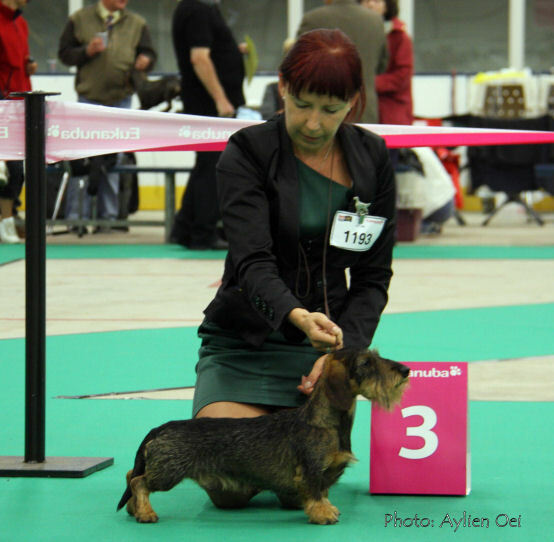 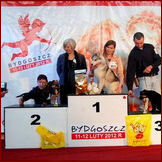 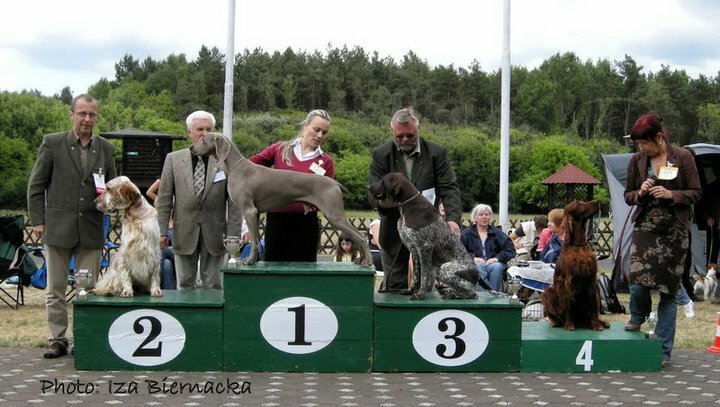 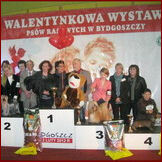 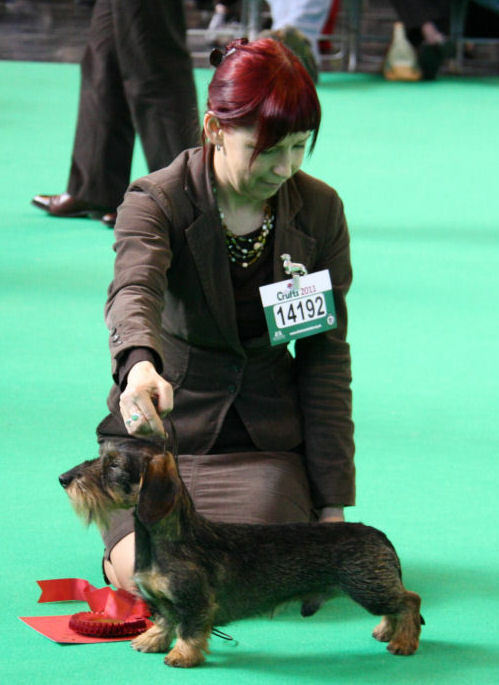 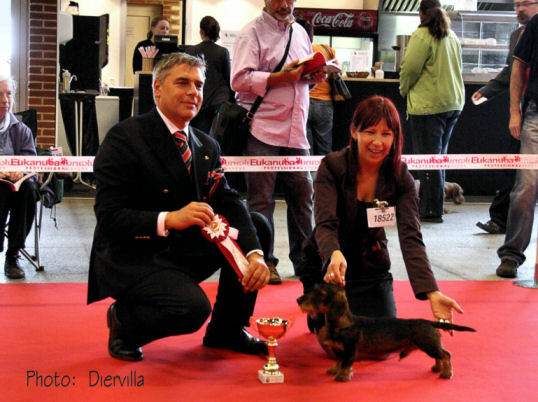 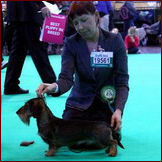 Rafaello Diervilla "Fello" owned by Sebassos kennel from Holland was 3rd Best in Show Baby. 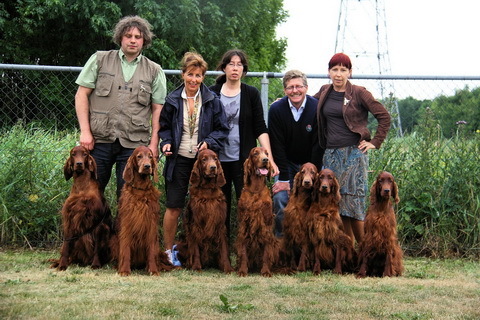 Big congratulations to Willem and Erwin! 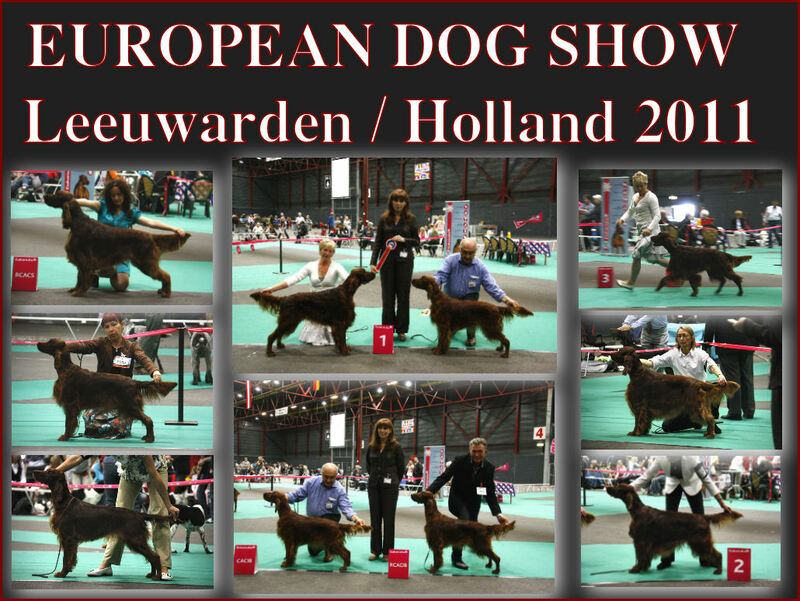 Club Show in Holland was for many years a special event for us, always very nice organized, nice venue, excellent opportunity to catch up with old friends and see new dogs. 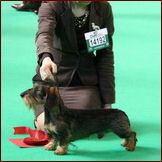 This year was a special year for us as in 2010 Best Veteran went to Odi. 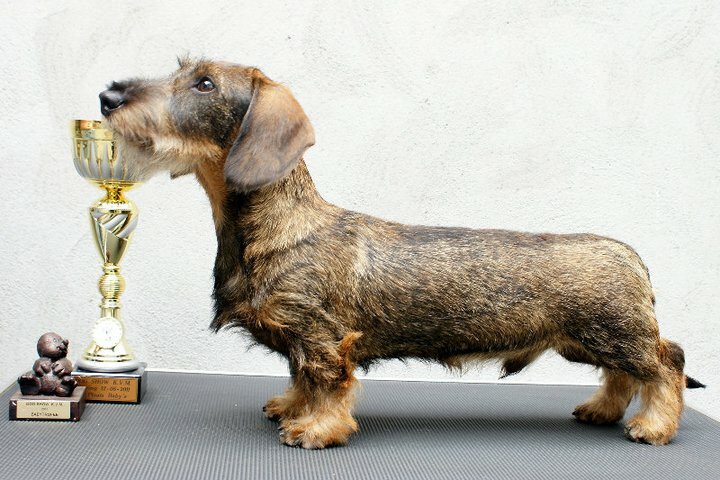 As many of you know, we lost Odi in March this year. 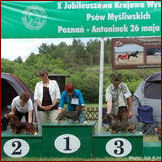 We decided to celebrate this year's show as a tribute to Odi and entered his 3 brothers and sister living in Holland. 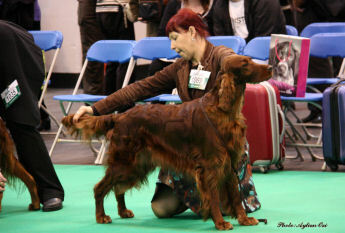 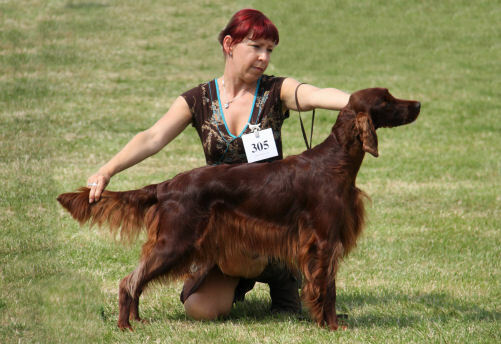 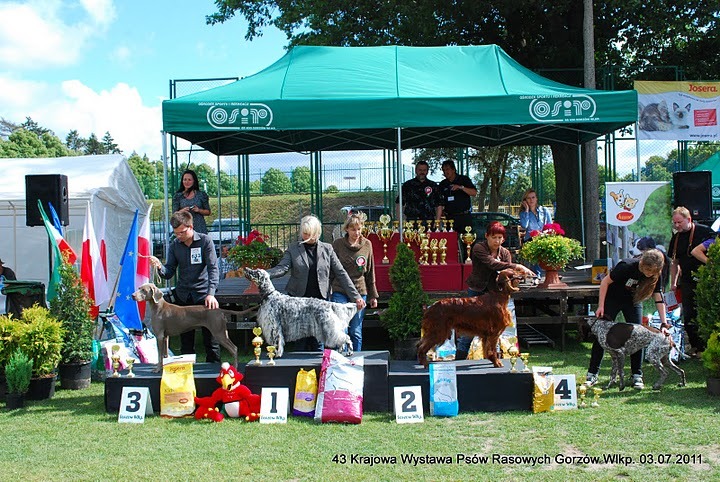 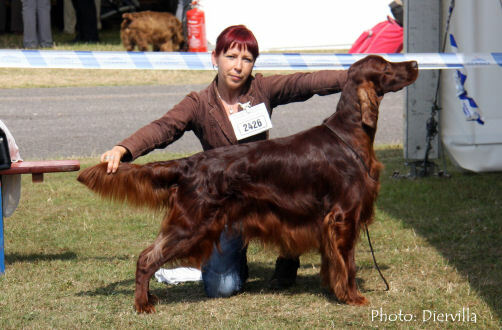 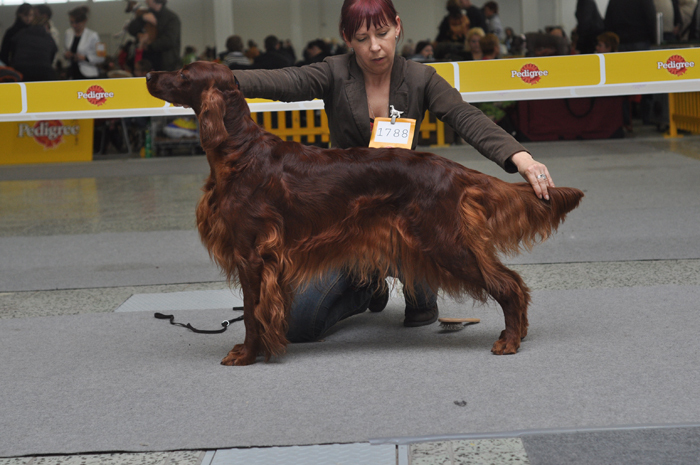 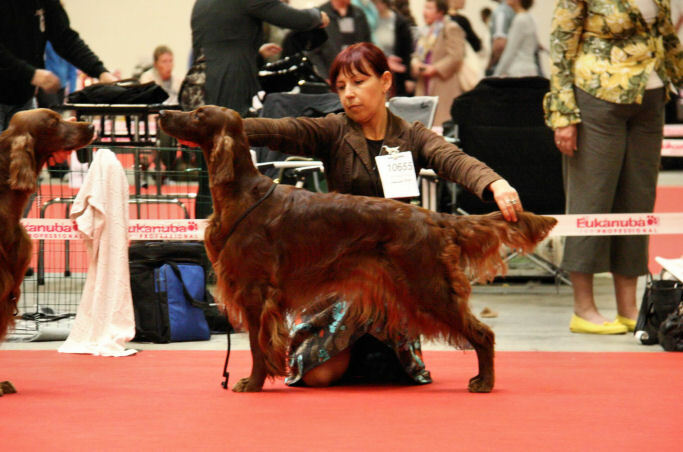 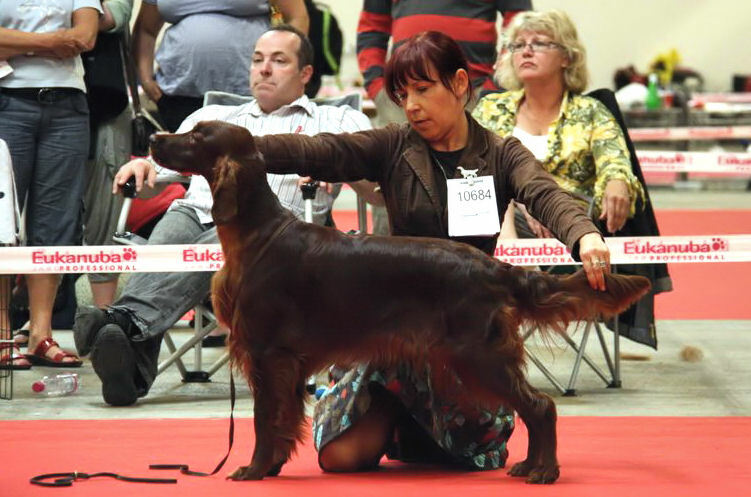 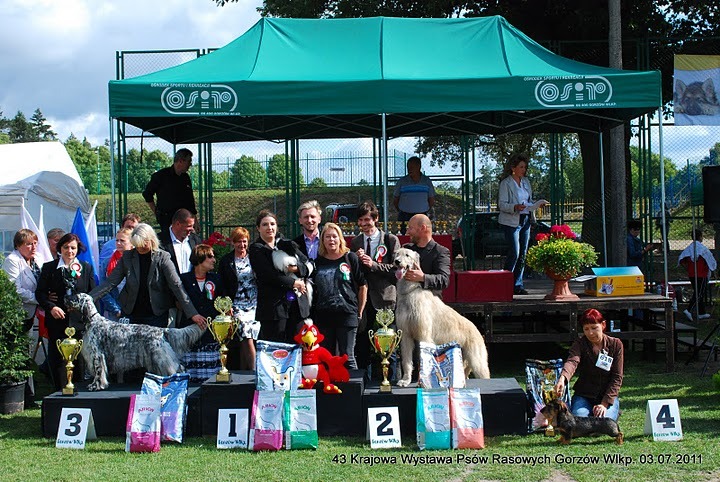 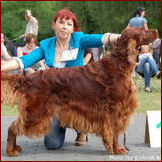 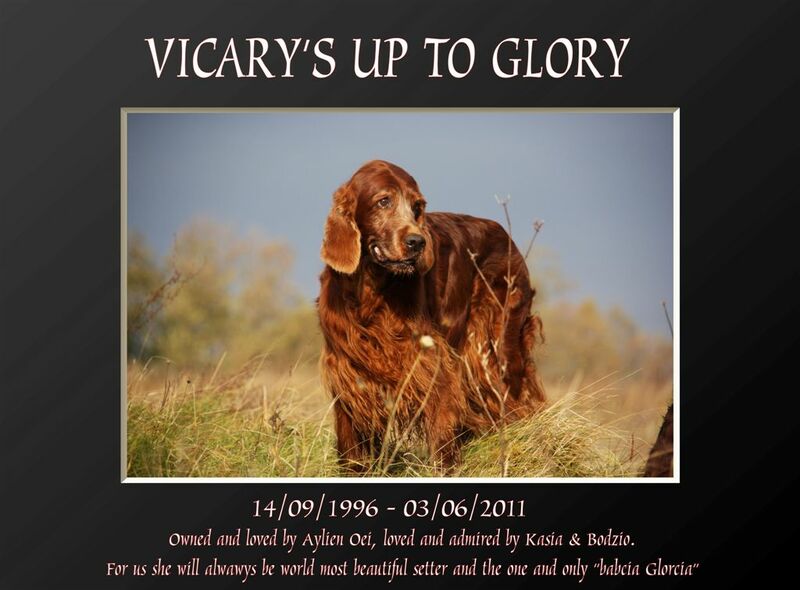 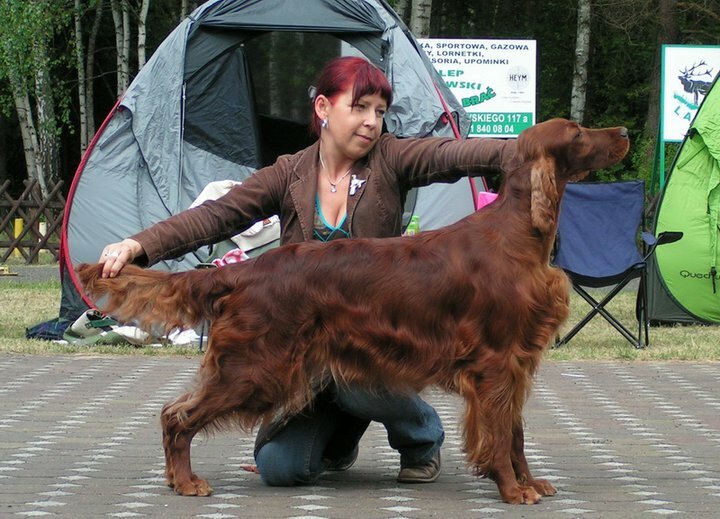 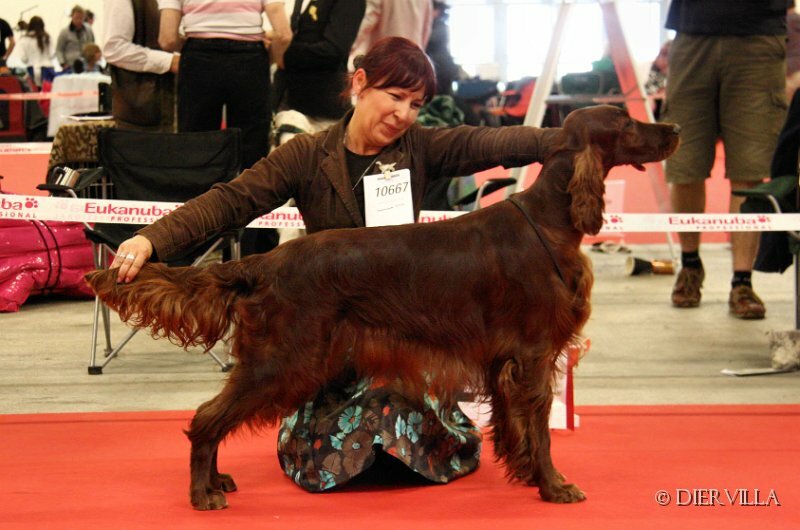 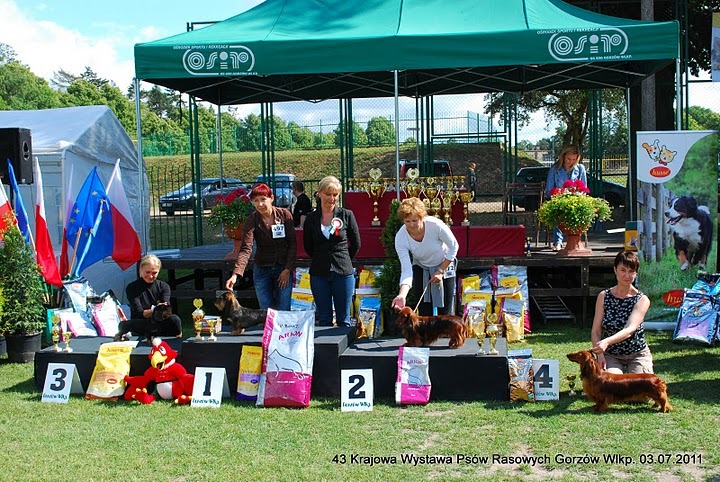 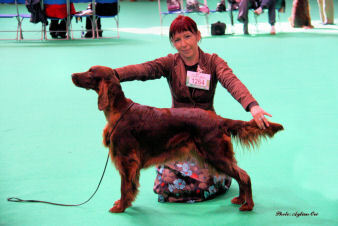 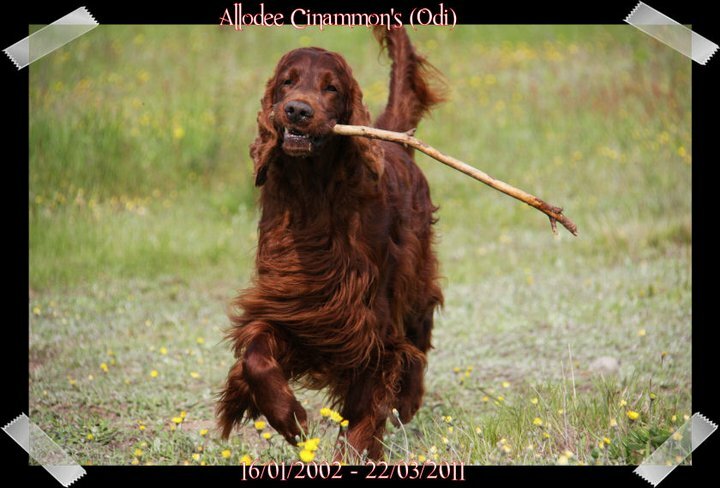 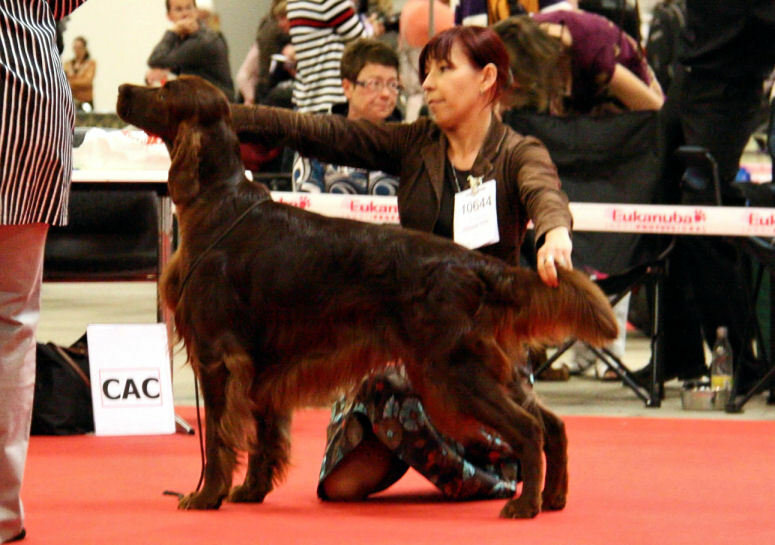 When we were entering - we didn't know this show will be connected with another sad moment in our setter history - on Friday before the show we had to put to sleep Glory - beatiful mother of our oldies. 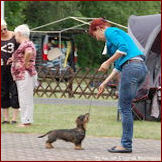 So the family reunion was getting even more symbolic. 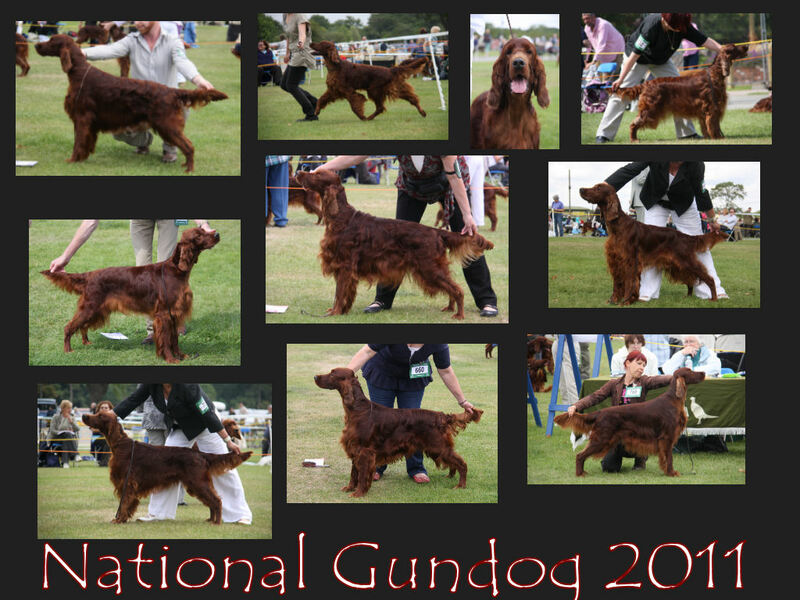 On the photo above you can see from the left - Chili (Glory's grandson), Benson, Duke, Addy and Dindy (Glory's children, brothers and sisters of Odi) and Lola with Banthi (Glory's grandaughters, one by Dindy, one by Duke). 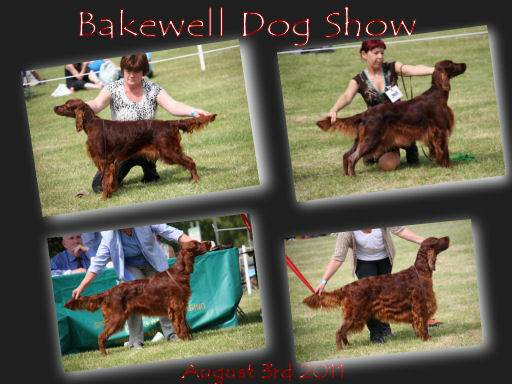 This very special day got even better due to the show results, Chili and Lola being shortlisted in their classes, Banthi 3rd in Open, Addy and Benson excellent in Veteran, Duke and Dindy both winning Veteran class and at the end of the day Dindy getting Best Veteran and taking back home the trophy that belonged to Odi for last year. 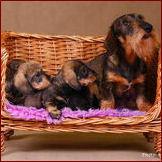 Naughty But Nice Diervilla "Winnia"
BooBoo was BOS, Winnia BOB and BOG IV, Rodrigo BOB and BOG III. 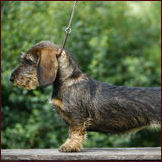 Alpheratz Don Rodrigo - 1st in Yearling class!!!! 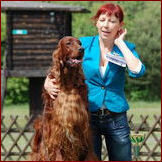 GREAT LONG WEEKEND FOR ALL OF US!!!! 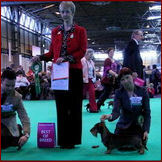 Naughty But Nice Diervilla - Junior World Winner and Best of Breed!